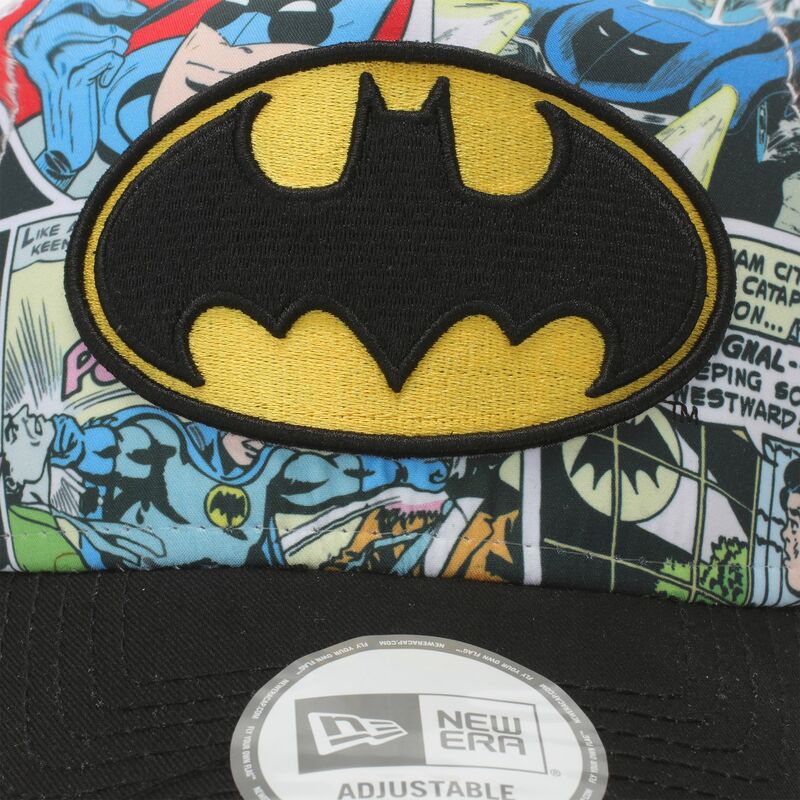 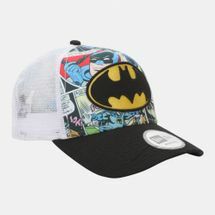 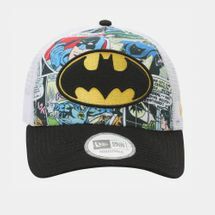 The New Era Comic Truck Batman Cap for men features a comic book print on the front panels, with a large logo on the front. The back is made from mesh panels for breathability and boasts a classic trucker cap look. 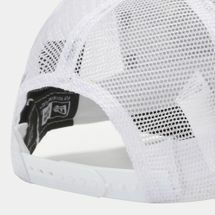 The top of the curved visor has a brand badge, while the brand flag logo features on the lower left side.